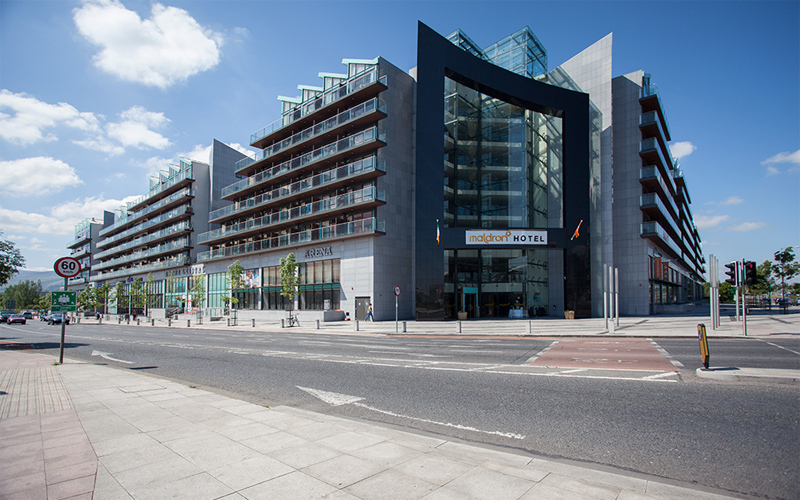 Green Reit is still confident of finding a buyer for the €65 million-plus mixed-use Arena Centre in Tallaght, Co Dublin – the most valuable of six investment properties offered for sale to allow the company to restructure its finances. The Arena was the highlight of a portfolio sale announced at the beginning of February which had been expected to bring in over €168 million. All five other properties have either been agreed, are in legals or have been sold for prices close to or in excess of the asking prices. These sales will bring in about €100 million – enough to allow Green Reit to reduce its total gearing level to around 25%. The company’s decision to offload the six assets followed its purchase of the remaining 50% stake in the Central Park development it did not own. That deal was valued at around €160 million. The multi-storey Arena was by far the largest investment offered for sale with a rent roll of €4.6 million showing a net yield of 6.8%. Company sources confirmed yesterday that negotiations on the sale of the investment are ongoing. It consists of five retail units, four retail warehouses, three office blocks, a residential complex with 63 apartments, leisure facility and a 119-bedroom hotel, all built between 2006 and 2008. The complex offers investors a secure long term cash flow with a weighted average lease term of 10.2 years. Bank of Ireland, Woodies, Lidl and the Delata hotel group account for 80% of the rental income and all are on leases with upwards-only reviews. Bank of Ireland recently demonstrated its long term commitment by switching its break option from 2018 to 2023 and agreeing to a two-year break penalty. Agent JLL is handling the sale of the six properties which attracted considerable interest from Irish and overseas investors. One buyer has agreed to pay in excess of the €17 million guide for the Ormond building close to the Four Courts at Ormond Quay. The five-storey over basement building extends to 3,486 sq.m (37,526 sq.ft) and gets most of its €1.2 million rent roll from Dublin City Council and Regus. The weighted average lease will run for another 8.34 years and the initial yield will be 6.5 %. Green is believed to have secured over €20 million for Classon House in Dundrum Business Park where the existing rent roll of €1.26 million is expected to strengthen in line with the projected rise in suburban rents to €323 per sq.m (€30 per sq.ft). In the meantime the new owners will be able to bank on a yield of about 5.6%. The block has an overall floor area of 6,940 sq.m (74,700 sq.ft) and is divided into 27 own-door business suites with 114 car-parking spaces. A car rental company, CarTrawler, contributes 69% of the rental income. In Dublin city centre, an overseas firm has agreed to pay €12 million – €800,000 above the guide price – for the multi-storey Parnell Car Park alongside the multi-screen cinema. The 503 space car park is rented at €700,000 per annum. Green Reit has also sold the Globe Retail Park in Naas to Friends First for over €25 million. The eight traders in the park are paying rents of €1.7 million. In Limerick, The Globe Retail Park is also being disposed of for a figure just short of €25 million. Eight stores and a restaurant in the park are paying rents of €2.02 million.